Mitch Keller has been optioned to Triple-A Indianapolis. This move comes as no surprise, as Keller has been hit for 10 earned runs in 4.2 innings so far this spring. 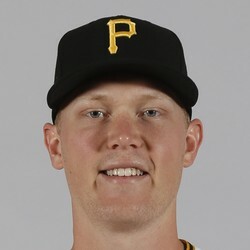 He's still one of the most exciting pitching prospects in baseball, and Keller could find his way up to the majors this season at some point either as a starter or reliever, depending on team needs and his performance. For now he's just a dynasty stash.